In Alaska, you’ll no doubt come across some of the most awe-inspiring views of nature, from towering ice-capped mountains to pristine bodies of water that merge into the sky. What you might not expect is that Alaska also has one of the most underrated beer scenes in the nation. The breweries we’ve identified below are based on many places across the state, from the bustle of downtown Anchorage to the endless expanse of beauty in Girdwood. 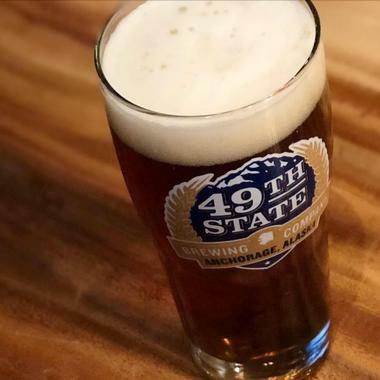 Located in the heart of downtown Anchorage, the 49th State Brewing Co. is a lovely place for friends and family to get together and drink, dine, and dance. There are two theaters and a rooftop patio that is constantly hosting parties, club events, concerts, improv, and theater for you to enjoy. The company focuses on providing a start-to-finish experience that will forever change how you view craft brews. The precision starts from the creation of the craft brew, which consists of fine malts and hops as well as glacial aquifers and is served by Cicerone-certified beer servers in unique glassware that complements the various styles of beer. 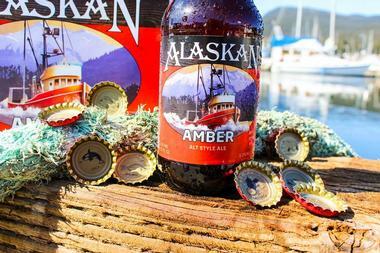 Independently owned and operated since 1986, the Alaskan Brewing Company creates delicious craft beers with the aim of benefiting the industry as well as the state of Alaska. The brewery is housed in the same building it has been in since its origin, and all of the beer is brewed and bottled right there in that very building. You’re able to try all of the delicious flavors in their tasting room, while also dining on delicious foods that bring out the different tastes. You’ll be able to take some of the beer back with you, along with specialty beer gear, from the company’s on-site gift shop. The Anchorage Brewing Company is one of the newer breweries to open in Alaska and is founded by brewer Gabe Fletcher, who specializes in souring cultures and barrel fermentation. 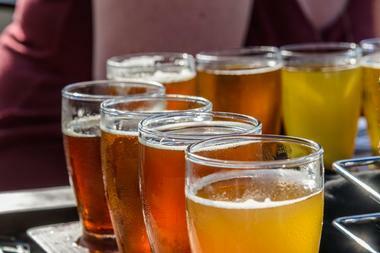 The company implements both old and new brewing techniques and procedures that allow it to produce some of the most unique styles and flavors of craft beer to come out of Alaska. Guests are invited to try out the variety of beers in the company’s tasting room; you’ll be able to distinguish the flavors easily and can even take some back with you. The Arkose Brewery works on perfecting craft beers inspired by the snow-capped mountains and glacier-fed rivers of the namesake Arkose Peak. There are a lot of delicious flavors to choose from with around a dozen of them on tap in their brewery taproom. Some of their most popular brews are the Berry-Go-Round series, which is available year-round and is a rotating berry flavor with blonde, saison, or amber beer, and the Blue Skies Blonde, which is the very first beer they brewed and has a crisp and clean taste with subtle fruit flavors. Depending on when you’re there, be sure to try a seasonal brew, which encompasses all the tastes of that season. The Baranof Island Brewing Co creates local handcrafted beer that you can enjoy at many local establishments in Alaska. Their own taproom will put you up close and personal with their brewing process and their many varieties of craft beer. While there, you can purchase a refillable half gallon growler bottle or sample many of the different brews. There are many varieties on tap, with popular choices being the Halibut Point Hefeweizen, the Peril Strait Pale Ale, the Silver Bay IPA, the Redoubt Red Ale, and Ben’s Brew Root Beer, which is great for those who want a non-alcoholic option while visiting the brewery and tap room. 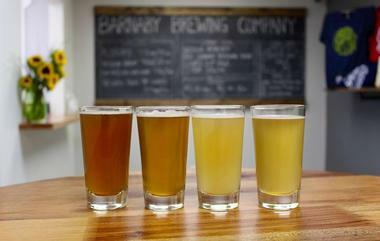 The Barnaby Brewing Company is a nano brewery in Juneau, Alaska that is the brainchild of Matt Barnaby. A jack-of-all-trades kind of guy, Matt is extremely passionate about supplying finely crafted brews to the community. Barnaby specializes in brewing American-style ales, many of which come to be through their experimentation with wild-harvested ingredients. Many of the beers that they have on tap year-round include the McSteamy, which is a California Common, and the Long Way Home, which is a Cream Ale. Some of the other beers that rotate are the Nerke, which is an Irish Red Ale, and the seasonal Heart of a Lion, which is made with Dandelion Wheat. 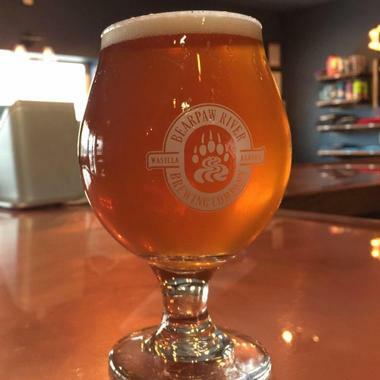 The Bearpaw River Brewing Company is owned and managed by four brothers: Jack, Jake, James, and Jed, who all work together to provide fresh handcrafted beer that is exciting and original. When in Wasilla, Alaska, be sure to stop by their brewery, have a chat with the brewers, and sample the many delicious flavors they have available. Their taproom is a fun place for locals and visitors to hang out, have a good time, and drink up a range of beer styles, which are available on draft and in growlers, bottles, and kegs. It is one of the fastest growing independent craft breweries in America and is well worth the visit. Though it may be Alaska’s smallest production brewery, the Bleeding Heart Brewery is known for having the largest heart. Tucked away in a colonial homestead farm, the brewery creates high-quality ales and lagers which are unique, flavorful, and refreshing. Their American IPA Bleeding Heart Beet and their Valley Trash blonde ale are popular amongst their patrons, as is their Grounds for Divorce Coffee Porter and their special Something Like Alaskan Amber red ale. Their taproom serves delicious food to accompany the drinks and provides outdoor seating for guests to enjoy their drinks with great company in an even greater surrounding. © Broken Tooth Brewing Co. Since 1996, the Broken Tooth Brewing Co., then known as Moose’s Tooth, has been providing flavorful beers concocted by their creativity. Though the actual brewery is housed in the Ship Creek port and is not accessible to visitors, you can still try all of their crazy concoctions at Moose’s Tooth Pub & Pizzeria or the Bear Tooth Theatrepub & Grill. The pizzeria serves all their delicious brews on tap along with mouth-watering pizzas and other foods, while the Theatrepub & Grill lets you enjoy the brews while watching amazing Art House films or enjoying concerts. Every first Thursday of the month is “First Tap,” which is when they share their latest brewery release. Nestled in the heart of the Upper Susitna Valley is the famed microbrewery, the Denali Brewing Company. The brewery opened to the public in the summer of 2009 and soon expanded to their current location with a 30-barrel operation. They are one of the more socially and environmentally responsible breweries, and it is one of the very few to keep their doors open year-round ensuring stable employment. They have also implemented sustainable programs emphasizing zero waste and responsible water treatment. The taproom has over twenty beers on tap for you to enjoy while overlooking the production floor and dining on concoctions from various food trucks. Behind-the-scenes tours are available as well. 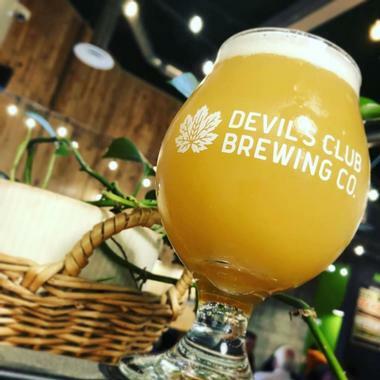 The Devil’s Club Brewing Company was started by three local boys who had a passion for brewing unique ales and lagers and a dream to own their own brewery. Their brand is adventurous and different from the norm, which is reflected in the beers they offer. They have various tried and true ales, which are available all year long, as well as a rotating selection of experimental, sour, and barrel-aged beers. Favorites include the Ptarmigan Wit, which is a traditional Belgian beer with a dash of coriander and orange zest, and the Silt Stout, which is a thick, sweet beer that is creamy on the tongue. With a focus on being conscious of the community and the environment, the Girdwood Brewing Company creates fresh and flavorful craft beer largely made with local ingredients by local residents. The 3,040-foot brewery and taproom are popular with many outdoor enthusiasts who head there in search of adventure and ale. The sociable taproom is a great place to meet residents and fellow travelers with similar interests as you enjoy tasters and growlers, while also purchasing cans of your favorite to take back with you. There’s a lot to choose from based on your tastes; Down the Chute is light and crisp, while others like the Hippy Speedball infuse flavors of coffee and chocolate. © Grace Ridge Brewing Co.
Family owned and operated, Grade Ridge Brewing Co. started in 1988 when a unique 5-gallon home brew kit was presented as a Christmas gift. Funnily enough, that very kit is still present and in use at the brewery today. 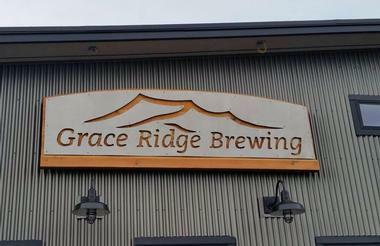 Grace Ridge is where to go when you want unique flavors that are the end product of fine craft brewing. The ales and lagers offered vary depending on seasonal ingredients, popular favorites, and new flavors that are being tried and tested at Grace Ridge. Their taproom/brewery feels homely and comfortable, inviting you to throw back a few over shared stories and hearty laughs. © Haines Brewing Company, Inc. The Haines Brewing Company, Inc. was established in 1999 by Paul Wheeler and Jeanne Kitayama. The passion started long before the brewery did, when friends and family would come from far and wide to have a sip of Paul’s fine brews. Growing off their original homebrew recipes, the company now offers a varied range or fresh seasonal and flagship brews on tap in their tasting room, outdoor beer garden, and brewery. They have become renowned for producing some of Alaska’s finest hand-crafted beers from the bold barley wine, Bigger Hammer, to an imperial stout, Black Fang – the latter is great for those who appreciate rich coffee and chocolate flavors. The HooDoo Brewing Company is located in the heart of Alaska and uses fine ingredients sourced from all over the world to create a delicious, fresh brew for you to enjoy. Their taproom is the best place to try and purchase pints, growlers, cans, and kegs of some of their most popular ales and lagers. 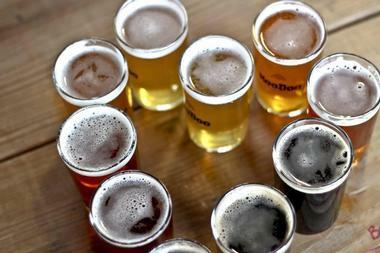 Choices include the crisp German Kolsch, a fruity Belgian Saison, and bready Bavarian Weissbier. 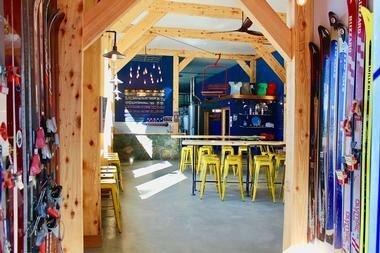 The open layout of the taproom gives you a peek into the brewing process and is a fun and sociable place to be. 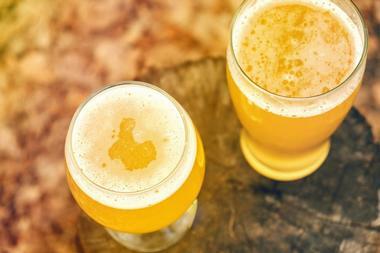 Once a week, a free 30-minute tour of the brewery is offered so that you can see the inner workings behind some of the best tasting beers in the state. 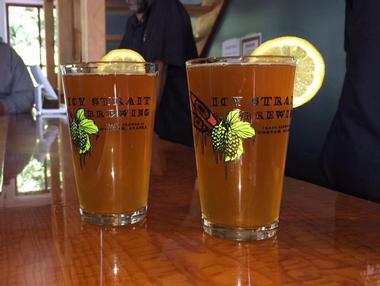 Icy Strait Brewing concocts cold, fresh handcrafted beers made with a combination of traditional and modern ingredients and techniques. Providing some of the finest beers in Alaska, visitors are invited to have a few pints paired with some tasty Alaskan treats as their surrounded by natural beauty at the brewery’s comfortable tap room. The servers at the taproom are more than happy to aid you in figuring out what pairs best together, whether it be the Alaskan smoked fish board and a pint of their IPA is Good, or one of their delicious grilled cheese sandwiches with an oatmeal-based stout. Proudly brewing quality craft ales, Kassik’s Brewery came to be through a simple Christmas gift of a home brew kit a wife gave to her husband many years ago. The gift allowed Frank Kassik to indulge in his passion and gave the couple the drive to one day open their own brewery. 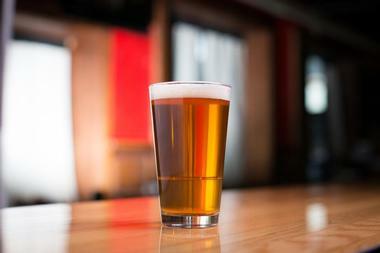 They have since tripled in size and now offer multiples ales and lagers that have gained popularity. Some of their offerings include Whaler’s Wheat, Beaver Tail Blonde, and Orion’s Quest Red Ale, which is a bold and bodied beer with a light caramel flavor. Visitors are invited to visit the brewery, get to know the family behind Kassik’s, and drink quality handcrafted ales made with ingredients from around the world. 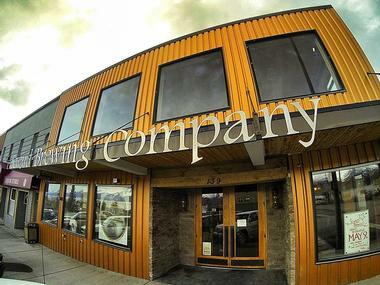 The King Street Brewing Company is a renowned Alaskan brewery that creates a variety of offerings, which change seasonally. 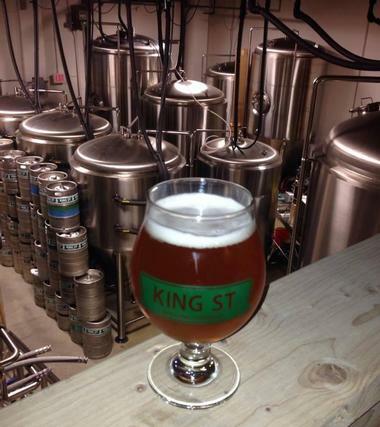 Some of their most popular brews include the King Street American Pale Ale, the King Street Hefeweizen, and the King Street Stout, which is a modern take on an Irish class and has a hint of chocolate, coffee, and roasted grain. Their limited run ales and lagers are carefully created to satisfy the discerning palate of their customers. 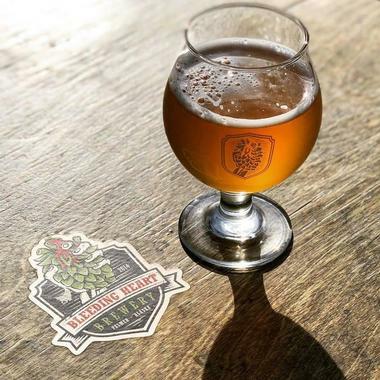 An on-site tap room is open throughout the week for locals and visitors to get together, socialize, drink, and enjoy the refreshing drinks along with the offerings of their food truck. 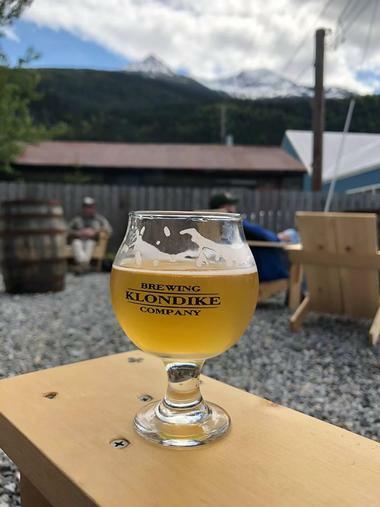 The Klondike Brewing Company is a seasonal brewery that uses world-class ingredients and protocols, to create amazing craft beers. Their on-site tape room, the Klondike Club, is open seasonally as well and is a great place for visitors to sample and drink the brewery’s rotating styles of draughts, limited releases, as well as their seasonal varieties made with inspiring ingredients. You’ll also be able to take home some awesome merchandise and gifts such as walk-in brewery tour passes, which take you behind the scenes of how some of the most refreshing beer in Alaska is created. © Kodiak Island Brewing Co. 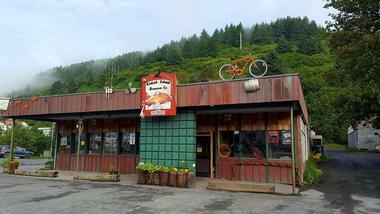 The Kodiak Island Brewing Co. has been producing flavorful hand-crafted beer since 2003. The brewery was started by Ben Millstein, who had a passion and a dream. Today, the Kodiak Island Brewing Co. is known for being one of the firsts to nurture craft beer culture on the island and supplies a wide variety of premium beers. They’ve gained a great reputation as well as loyal customers, who return time and again to drink their Snowshoe Session IPA, the award-winning Spruce Tip Wheat Wine, and much more. A visit to their taproom provides a great opportunity to socialize, sample new beers, have a few pints, and take some back home with you. A brewery, loft restaurant, and gear shop, the Midnight Sun Brewing Co. is known for their bold beers, barrel-aged stouts, and barley wines. 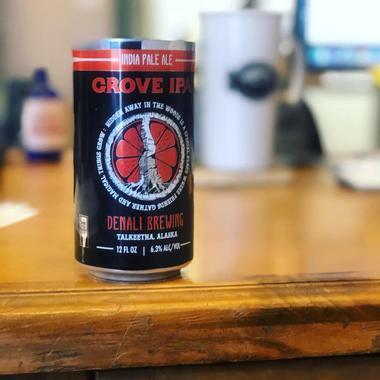 The brewery has been producing ales and lagers commercially since 1995, making it the second oldest brewery statewide, and they have since then established their core brands as Belgian ales and IPAs. Depending on when you visit, you’ll be able to try some of the 40 different ales and lagers that are produced there annually. Head to The Loft to pair the refreshing beers with fresh foods from a menu that changes daily based on what is readily available. A fairly new addition to the many breweries in Alaska, Odd Man Rush Brewing is a small craft brewery that opened in 2015. 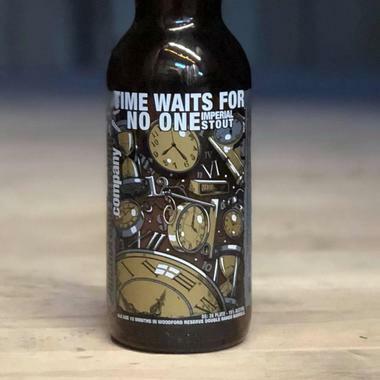 The company was founded by three local homebrewers who were determined to convert their hobby, which they were so passionate about, into a full-blown official brewery. Their unique ales and beers reflects their styles, tastes, creativity, and passion for brewing. Visitors will be able to try a varied range of brews, from smooth IPAs to darker stouts. There’s usually a few unusual seasonal beers on tap, with a local favorite being the smoked oyster stout. The Seward Brewing Company is a family-owned and managed establishment that provides inventive local craft beer along with inspiring meals made by owner Erik Slater, who serves on the Chefs Congress. Visit their old-fashioned brewery to chat with the people, see their interesting steam-powered 9 bbl. system, and try out their varied selection. There’s usually a new beer introduced every month during the summer, and the fantastic beer can be paired with the delicious food served – everything is concocted with locally-sourced ingredients. You’ll be sure to have some of the best Alaskan seafood and fresh handcrafted beer you come across during your visit at the Seward Brewing Company. 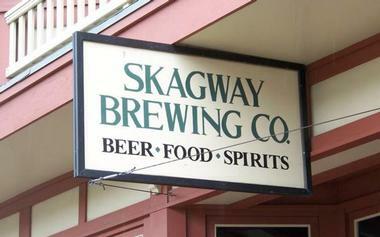 The Skagway Brewing Co serves delicious handcrafted ales and pub fare that go together seamlessly. The brewery was established in 1897 as a means to supply the demand of the people who flocked there for the Klondike Gold Rush. Over the years, the brewing company has become a popular place for locals and travelers to stop by, have some refreshing food and drink, and have a generally good time. 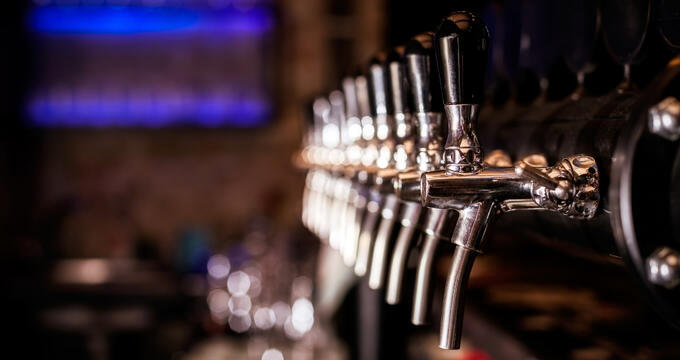 The pub serves fresh microbrews directly from the holding tank to tap, along with other Alaskan taps, bottled beer, and a wide selection of spirits and wines. 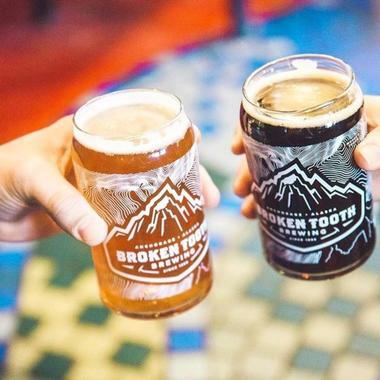 Broken Tooth Brewing Co., Photo: Broken Tooth Brewing Co.
Grace Ridge Brewing Co., Photo: Grace Ridge Brewing Co.
Haines Brewing Company, Inc., Photo: Haines Brewing Company, Inc.
Kodiak Island Brewing Co., Photo: Kodiak Island Brewing Co.